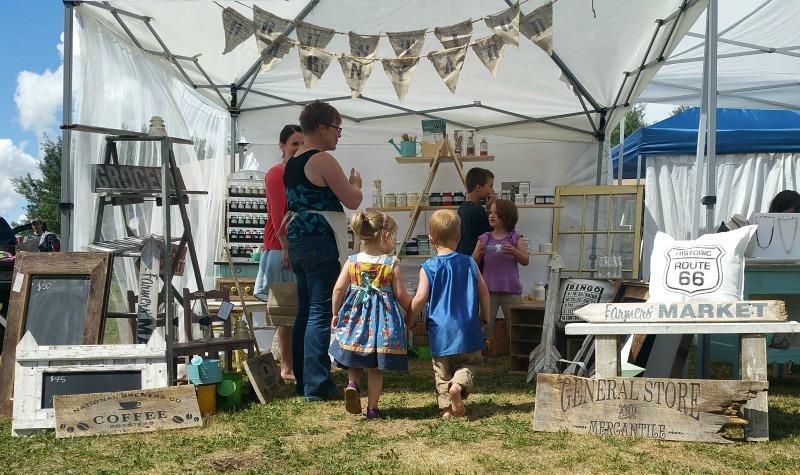 BIO: A unique, family operated, small town market, providing a place to find special gifts, local produce & plants, vintage & antique items, handcrafted lovelies and natural products. 2016 will be our 3rd year running, and will host a total of 10 markets from May – September. 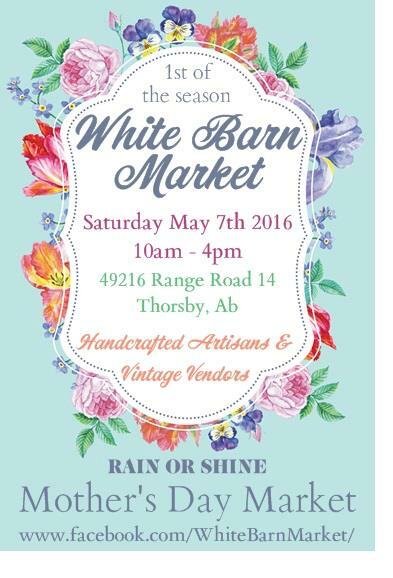 NEXT EVENT: 10am – 4pm Saturday May 7th 2016, Rain or Shine! 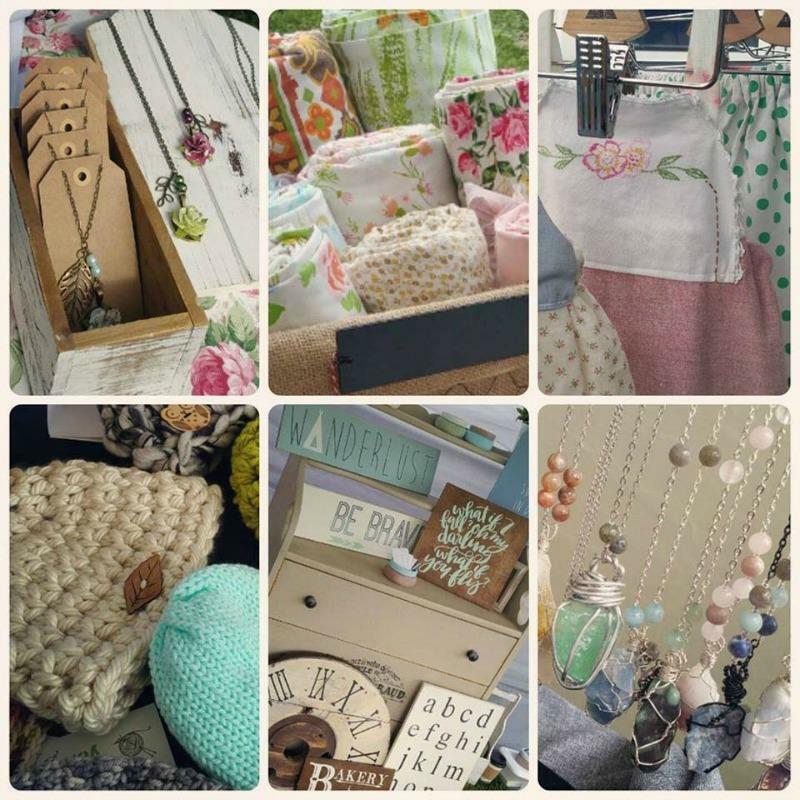 What makes your market different from other craft fairs/markets? The White Barn Market has quickly become a local countryside attraction, drawing people from far and wide. Surrounded by nature, you’ll find a fresh and invigorating, yet laid-back atmosphere in which you can leisurely shop from local handcrafting artisans, socialize, enjoy some acoustic music and have a food truck picnic. Of the vendors you come across, what’s consistent in handmade products that stand out to you and to your shoppers? A smart small business person and handcrafting artisan will take note of current trends and seasonal changes when choosing the products they create, and their business branding, but not necessarily let their business become part of the herd. In warmer months we are drawn to bright, clean, happy visuals like florals and lace. In cooler months we tend to gravitate to warmer, cozier earth tones. Trends are great when trying to figure out what will sell fast, but following trends too closely will make you blend in with everyone else. Be unique! Quality is also very important. This is an artisan market, your items should be art. Customers appreciate the time and skill you put into each individual item. 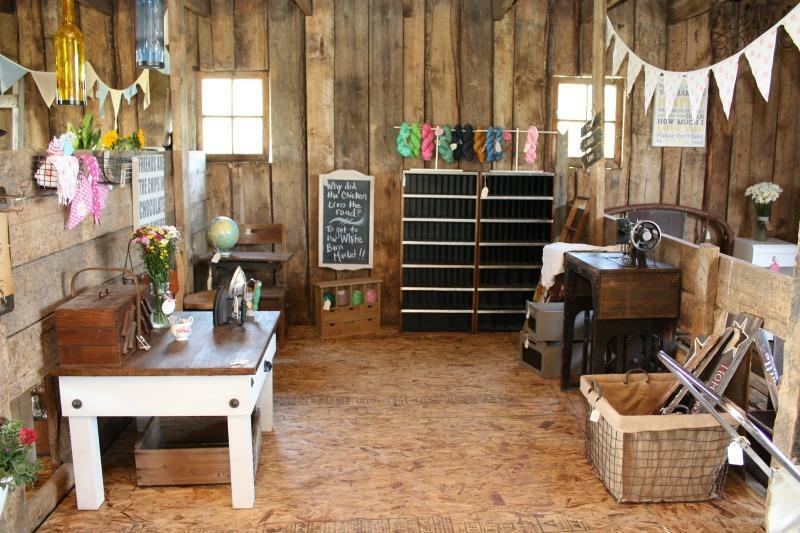 What about vendor spaces; what tips do you have for vendors to create an attractive display? This is a subject I am very passionate about and I feel can be a key to your success. Not all customers are going to be attracted to the same thing, so it’s hard to narrow down what will draw them into your booth. What’s easy to identify is what allows customers to pass by your booth without coming closer to see your products – displays that are sparse, bland or frumpy, or a crazy mish-mash of clutter that overwhelms the senses. The number one thing that I can’t stress enough is your business name and branding. A customer should be able to see your business name from afar on a banner or sign. Easily accessible business cards are important as well, sometimes if they like what they see, all a customer has time for is to grab your card and check you out online later. To achieve a professional look, make sure your branding and over all “look” are consistent on all of your products. Develop a business identity, and plaster it on everything possible. And something I wish more vendors would do, especially since almost all of our vendors bring tents to our outdoor market, is to utilize the vertical space in their area. Hang things from the tents, stand up walls on the sides or back, and create height in your displays with platforms. If your booth forces people to hover over a table, a lot of customers are going to miss out. Can you share one of your favorite pieces of advice? Clean, professional looking branding and packaging is more important than you might think. Bosses always say “Dress for the job you want, not the job you have.” which can be applied to your products and branding as well. Remember that grandma always said “Do onto others as others shall do onto you.” Treat vendors the way you would want to be treated if you were proudly presenting something that you had worked countless painful hours on. Sometimes prices can be higher for handmade goods, but you’re paying for a quality that can not be found in regular stores. What can shoppers expect to find at your upcoming event? 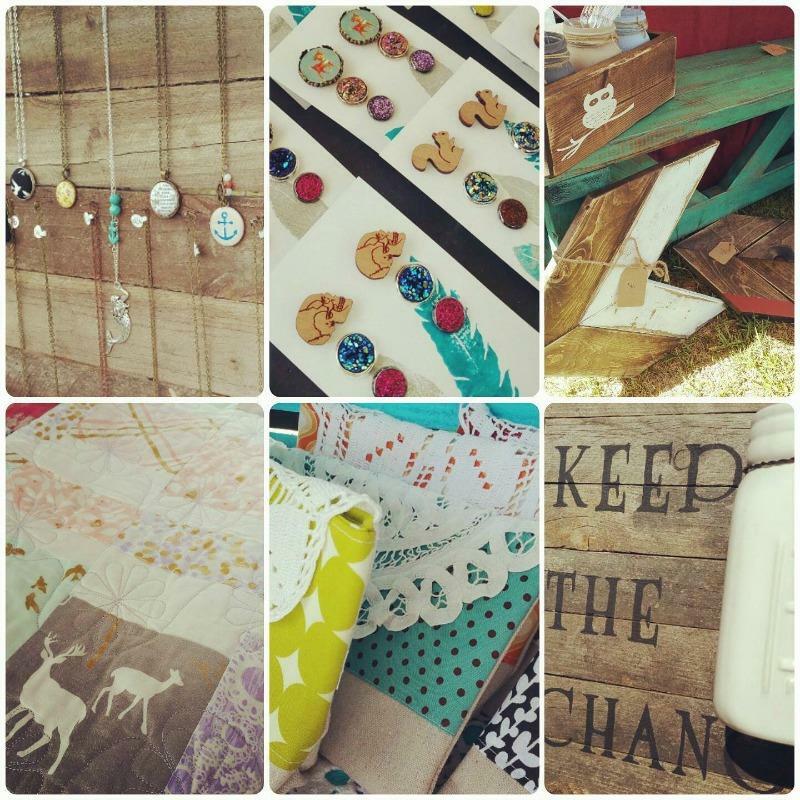 All of our market dates showcase amazingly talented vendors such as hand-sewn children’s clothing & accessories, art, vintage collectibles, quilts, pottery, knit & crocheted items, furniture & home decor, wooden toys, stained glass creations, trendy clothing, and metalworking. 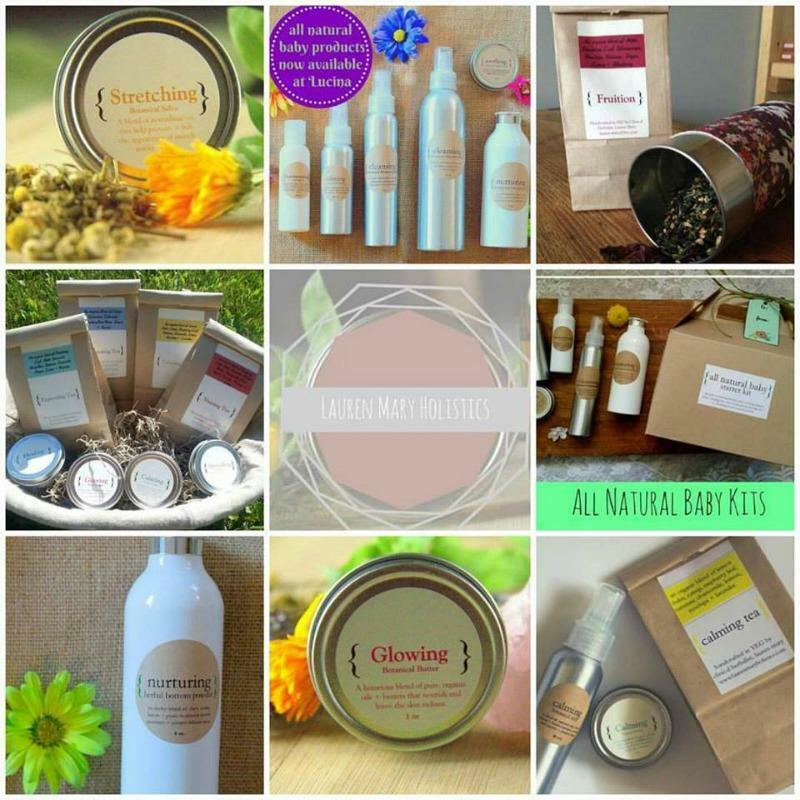 May 7th is also our Mother’s Day Market featuring last-minute gifts for someone special like handmade cards, flowers & potted herbs, hand-spun & hand-dyed yarn, natural bath & body products, and handcrafted jewelry. We will also be hosting the Hot Mess Food Truck, a few different acoustic musical acts, and a Henna artist on site all day long. I really appreciate the hard work and dedication that all of our vendors put into creating their items and coming to our markets, but here are a few that I just can’t get enough of lately. Kozy Komforts has been with the White Barn Market from the very beginning. If there is something knit or crocheted that you can dream of, I have no doubt that Cristin would be able to create it. From the popular Mermaid lapghans & cozy cowls, to adorable little newborn cocoons & fox hoods, there’s something for everyone. Lauren Mary is a Clinical Herbalist, Holistic Nutritionist and Doula serving Edmonton & Area. She’ll be bringing an assortment of herbal teas and baths, botanical salves, sprays and massage oils to the market. The Jewelry Rack‘s clever name referencing the antler rack of a deer gives you an idea of what you can expect from their jewelry style. 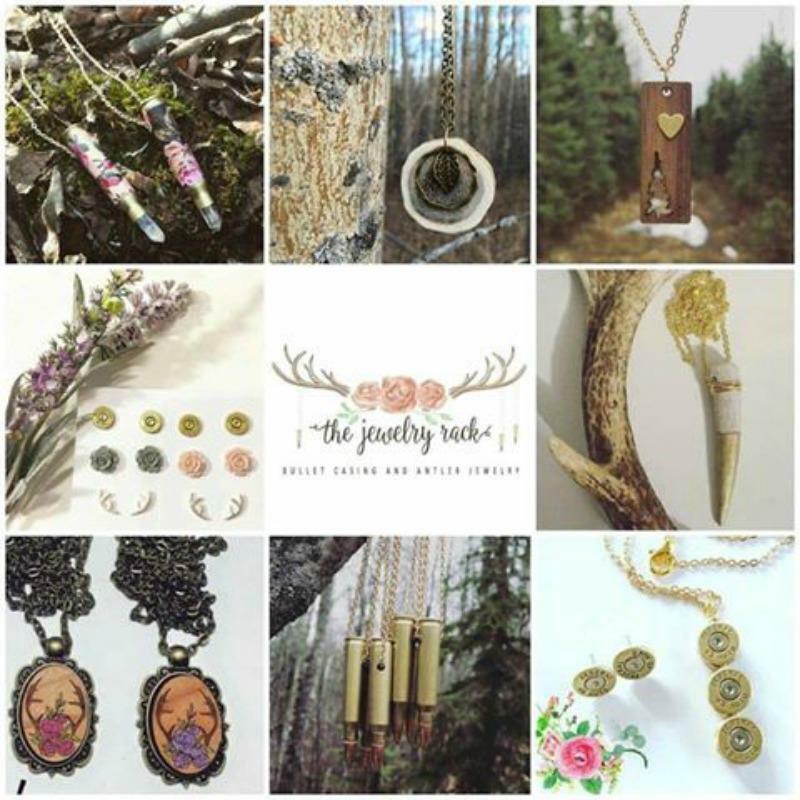 With dangling earring & studs, necklaces, hair combs, rings and more, all handcrafted by Breanne from naturally shed deer and moose antlers, bullet casings, wood, crystals and charms. 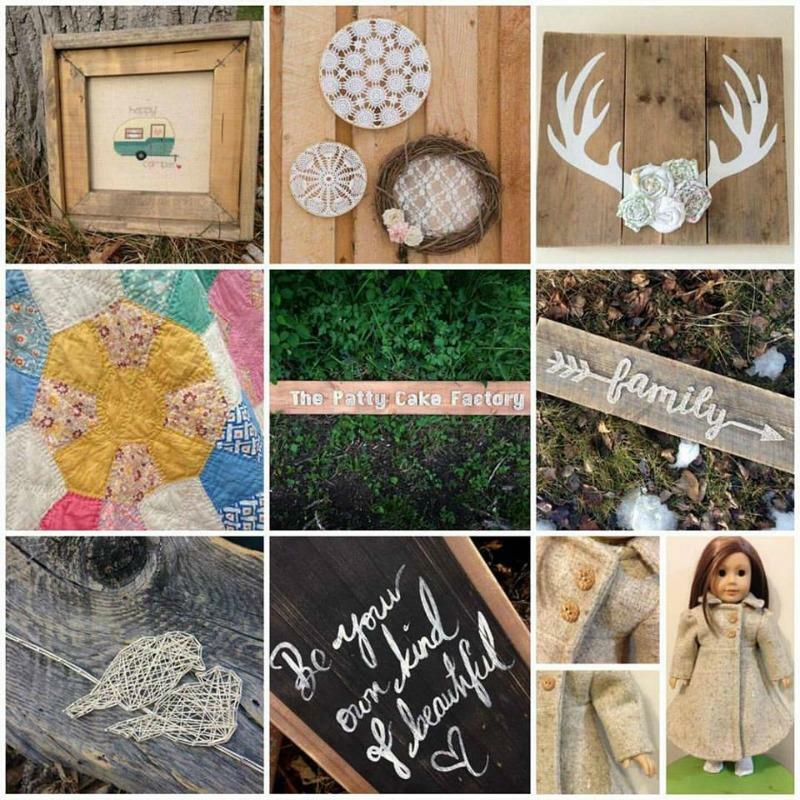 The Patty Cake Factory combines a sweet mixture of rustic framed cross stitch, string art & hand-painted signs, vintage quilts & linens sewn into doll dresses, and so much more. Seeing Angela‘s booth always makes my old soul swoon. 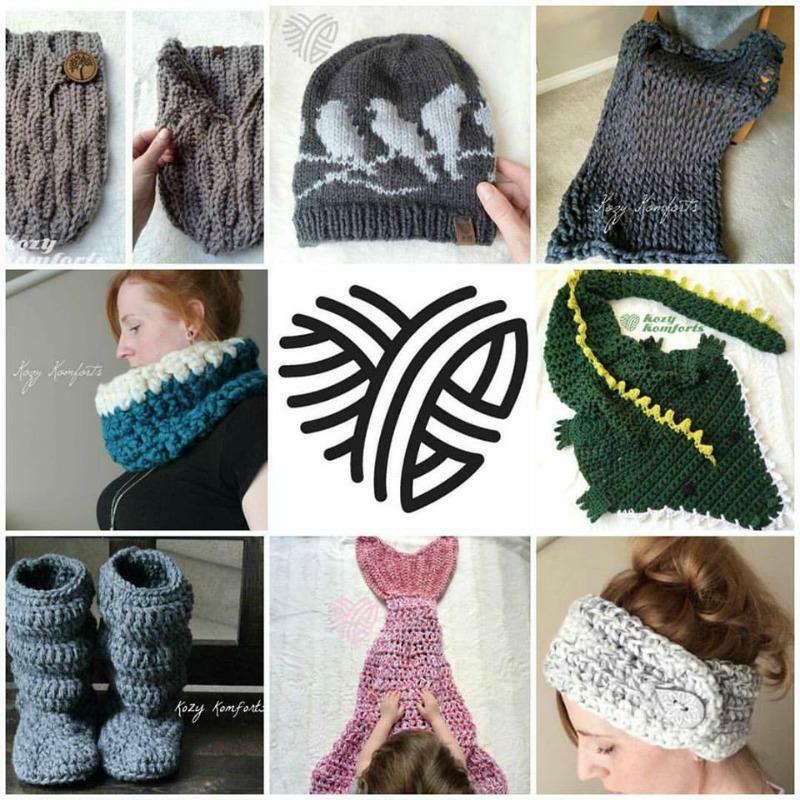 Boreal Babe will be travelling all the way from Lloydminster to join our market this year. 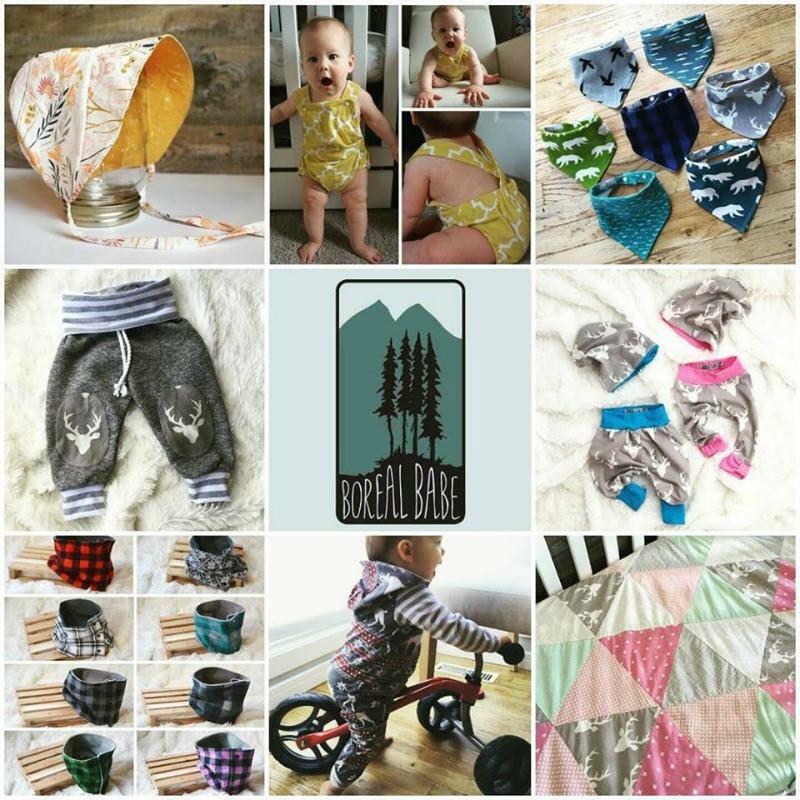 Jayne creates the most darling comfy outfits for little ones ranging from newborn-6T sizes including rompers, top-knot beanies, harem pants, hooded vests, grow-with-me pants, and sun bonnets all from bamboo and organic cotton. Anything else you’d like to share about your event? 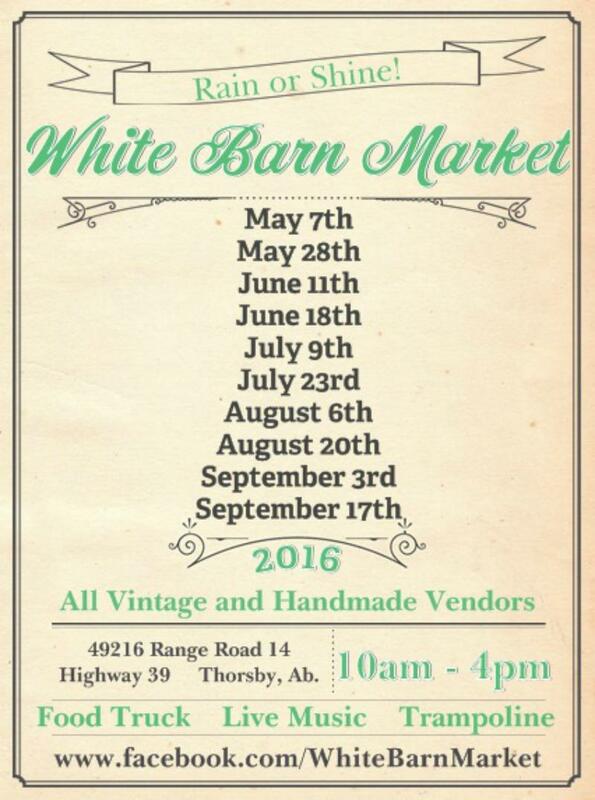 The White Barn Market strives to provide items from high quality handcrafted artisans; genuine vintage & antique items; and locally baked, grown & raised food products in an atmosphere you can feel relaxed and at home in. Come early, stay all day, breathe in the fresh air, wander around to explore, shop, eat, dance, chat and enjoy the day! BE SURE TO STOP BY THIS WEEKEND!! VISIT THEIR EVENT LISTING FOR MORE DETAILS!